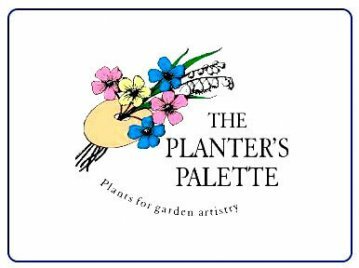 The Planter's Palette with Bower & Branch, trees for life. The Planter's Palette and Bower & Branch are bringing the enjoyment of trees back into your life! As your tree experts, we're excited to bring Bower & Branch trees to the Winfield area. Planting a tree not only increases you property value and makes you healthier, it's also celebration of Life! Finding the right tree for you and your property will save you time and energy, and improve your quality of life in ways you may never have thought of! You'll find Bower & Branch trees in our Garden Center (coming soon), but you'll find many more online, on our online tree store. When you buy a tree online, the tree arrives at The Planter's Palette within 7 days, where you can pick it up. With our online tree store, we're able to offer you all the benefits of trees, with none of the typical downsides. With Bower & Branch, the trees arrive fresh and healthy, from the grower to your Yard, with a Three-Year. Guarantee. As your tree experts, The Planter's Palette is qualified to handle, plant, deliver, and care for all Bower & Branch products, in support of the Three-Year. Guarantee. We also offer delivery and planting services, available online. When completing your purchase, you'll have the opportunity to choose to pick up the tree at The Planter's Palette Garden Center or to have the tree delivered to your yard or planted in your landscape. Basic: Trees are delivered within 14 business days after arrival at The Planter's Palette. Standard: Trees are delivered within 8 business days after arrival at The Planter's Palette. Elevated: Trees are delivered within 5 business after arrival at The Planter's Palette and a Landscape professional revisits to answer questions and prune. The revisit is scheduled with the customer. Extreme: Trees are delivered within 2 business days after arrival at The Planter's Palette and a Landscape professional revisits to answer questions and prune. The revisit is scheduled with the customer. Prices may vary upon size of trees, quantity, and delivery distance. Basic: Trees are delivered and planted within 14 business days after arrival at The Planter's Palette. Standard: Trees are delivered and planted within 8 business days after arrival at The Planter's Palette. Elevated: Trees are delivered and planted within 5 business after arrival at The Planter's Palette. A Landscape professional revisits to answer questions and prune. The revisit is scheduled with the customer. Extreme: Trees are delivered and planted within 2 business days after arrival at The Planter's Palette. A Landscape professional revisits to answer questions and prune. The revisit is scheduled with the customer. As your local tree expert, we're proud to recommend Bower & Branch Elements. Elements is the perfect product to support all plants, with the perfect blend or microbes and nutrients to support naturally occurring systems in the soil, and enhance communication between the soil and you plants. How do you plant a fruit tree?